Radio and Television advertising, online and banner advertising, marketing and media buying opportunities that are available. Advertise on shows like Rush Limbaugh, Sean Hannity, Glenn Beck, Michael Savage, Mark Levin, Ryan Seacrest, Top 40 countdown etc. Also Howard Stern and other hosts. 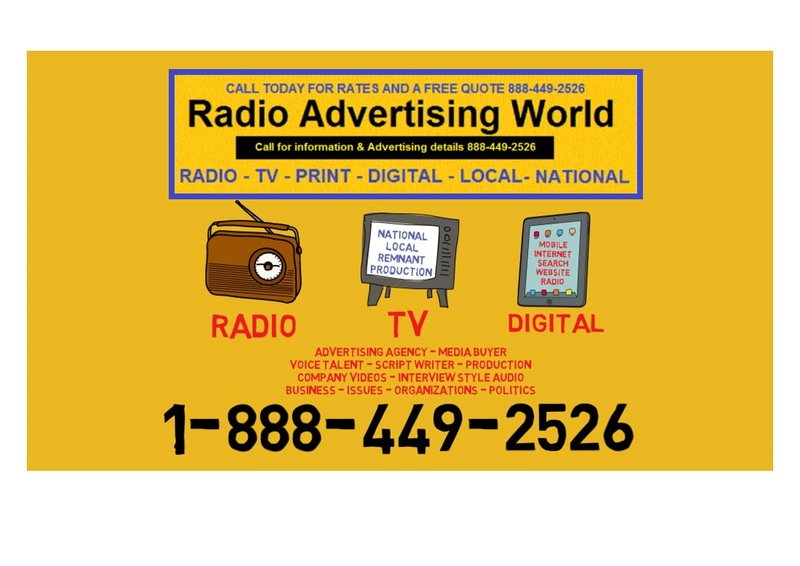 Advertise on Networks like Fox New Channel, CNN, Sirius XM and iHeart radio. National, local and global offers Okay!.